In the Philippine healthcare setting, seeing patients wait at the doctor’s clinic for hours at a time is typical. But the creators of a newly launched mobile application called HiDok plan to change that. 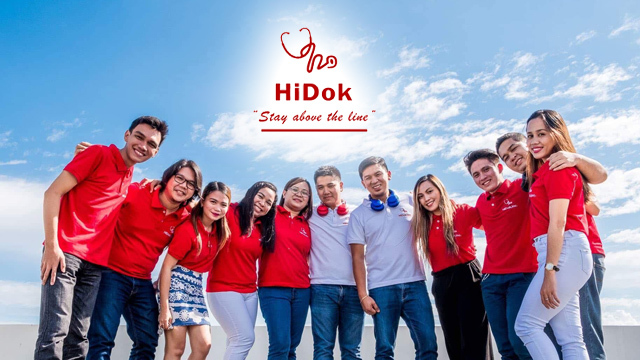 “We saw an existing problem in the traditional clinical setup that we thought could be addressed with a technology-based solution,” says Vic Cabatbat, vice president and co-founder of HiDok. “Patients go to the hospital without knowing what time the doctor would come in. Sometimes, patients come to Davao City from different provinces, but when they arrive at the clinic the doctor is not there,” states Aljabier Sangkigay, president and co-founder of HiDok. Through the app, however, patients can book an appointment with their physician. Patients are provided with the doctor’s availability and estimated time of arrival (ETA), removing the need to physically fall in line and wait for their turn. In addition, users can select from a lineup of specialists located in different hospitals. The app affords patients with added convenience and a more efficient use of their time. HiDok is beneficial to doctors as well. The app not only improves doctors’ visibility to patients who are seeking specialists but it also serves as an organizational tool. The doctor can remotely access his or her schedule of patient appointments for the day. “When doctors are at home or doing their hospital rounds, they have no idea how many patients are lined up to see them at their clinic. Through the app, they would no longer need to phone their secretary to confirm appointments,” says Sangkigay. He adds that being able to provide an ETA at the clinic also helps to build trust with patients. Since the app’s launch last September 28, the founders have so far signed up 150 doctors in Davao City alone. They are aiming to include more than a thousand physicians and are actively marketing to healthcare providers in other areas of the country such as Cagayan, Zamboanga, Cotabato and, soon, Metro Manila. Cabatbat and Sangkigay are nurses by educational background but entrepreneurs by real-world training. Sangkigay owns and operates Eros Medical and Lying-in Clinic in Maguindanao and Cotabato City while Cabatbat runs a sales and rental business for heavy equipment. In studying the services offered in his healthcare facility, Sangkigay was able to conceptualize the idea for the app. He shared the idea with Cabatbat, who was able to imagine the technological infrastructure of the user experience and the app’s marketing roadmap. To facilitate the app development, they hired an IT team, the members of which also enjoy a profit-sharing scheme within the company. 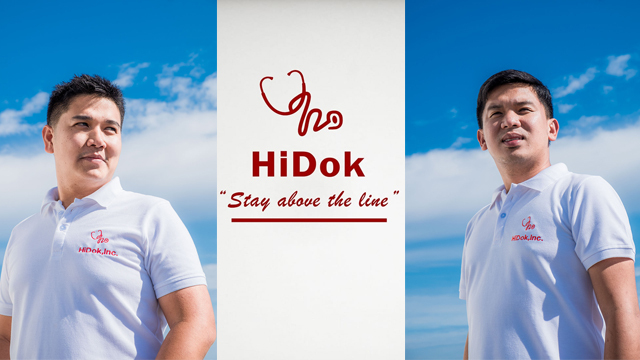 The two founders envision HiDok as a solution that operates on a similar principle as ride-hailing apps but for the medical sector. Right now the app is free to download in Apple Store and Google Play. The founders offer their product at no cost to the user because they want their business to initially focus on achieving product awareness. They have a long-term plan and several technological features in the pipeline, which they want to slowly build towards once product adoption is ripe. “We need to present this product really well. So at the moment, we are hiding several features to make the app easier to adapt and use,” says Cabatbat. Some of these added features will potentially become revenue-generating streams for HiDok. One example is their electronic medical record feature (HiDok EMR). If the doctor subscribes to this specific service, he or she can access the patient information storage system and provide paperless consultations. According to the founders, the response of the Davao medical community to the app has been overwhelming. In the next 12 months, they say users across the country should expect new features that can connect patients to doctors and doctors to other doctors and ultimately improve patient experience.